Grow your confidence, skills, health and wellbeing. The aim of recovery is at the centre of all we do. 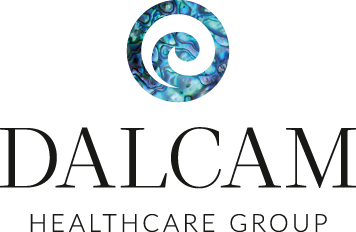 Dalcam Healthcare Group’s Tauranga service has been in operation for nine years. We not only provide residential recovery services, but also respite services and enhanced packages of care to clients within the Bay of Plenty region. The focus for our clients at Madison Centre is recovery through community based service links. We work with existing local services to ensure that transition back into the community is as seamless as possible. Empowerment of clients is at the centre of our individualised packages of care and support. Support is provided to grow confidence and skills. Individualised care packages mean faster recovery. 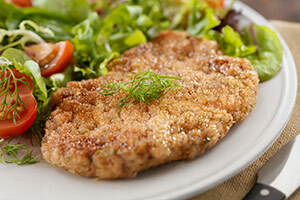 Enjoy a delicious, hearty menu. Madison Centre is a facility located just on the outskirts of the central city of Tauranga. The former motel complex, the Madison Centre provides a homely environment. Individual units promote independence, with awake support 24/7 always close by. Complete with a pool, the complex is a beautiful, tranquil environment in which to rejuvenate and recover. The koru represents the focus on the individual’s inner qualities, as well as a circle of trust and support and the holistic approach that we take to wellbeing. Based on the fern frond, the koru is also a symbol of creation and new beginnings. Its circular shape conveys the idea of perpetual movement, and its inward coil suggests a return to the point of origin. The koru therefore symbolises new growth and development and the way in which life both changes and stays the same. The paua of Aotearoa New Zealand is symbolic of its people. On the outside – ordinary, blending into their surrounds and firmly attached. But there’s another side to both paua and people: on the inside they are unique, soft and exhibit a breathtaking array of unique rainbow colours. Some in our community have forgotten they are beautiful on the inside and are only able to show their rough exterior. They’ve become so hardened that their hearts can’t show through. It takes a lot of courage to expose one’s soft side, the beauty within and let it be seen by all – to let go of the rock, to engage with others and to move forward. To the Maori, paua are recognised as taonga – a treasure. They represent the essence of love, inner self and the beginning of transformation.